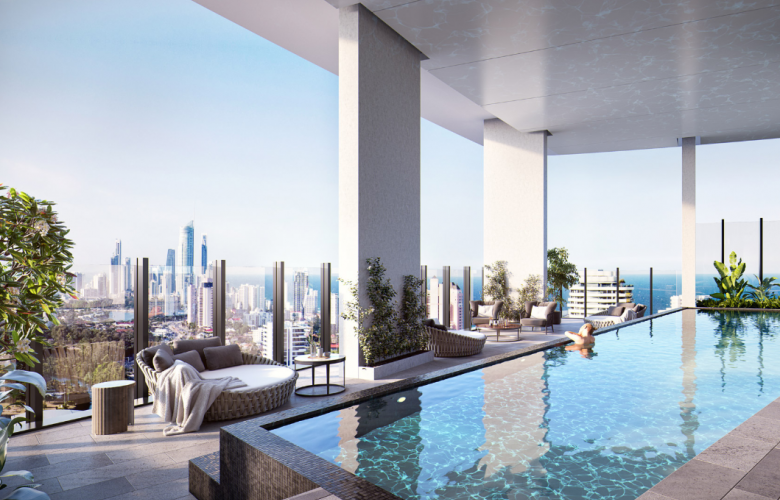 Construction has begun today on the $400 million Dorsett Hotel and Star Residences on the Gold Coast, which will feature 316 hotel rooms and 423 apartments with direct access to The Star Casino. Premier Annastacia Palaszczuk today announced that works have started on the $400 million Dorsett Hotel and Star Residences on the Gold Coast, which will also herald the entry to Australia of the internationally-acclaimed Dorsett hotel brand, set to open in 2022. Economic benefits flowing from the project will include 2300 jobs, with 1800 in construction and a further 500 created once operational. Destination Gold Coast Consortium – a joint venture between The Star Entertainment Group and its Hong Kong- based partners Chow Tai Fook Enterprises and Far East Consortium – will develop the tower. This morning Gold Coast Mayor Tom Tate joined Premier Annastacia Palaszczuk, Vice Chairman Dorsett Hospitality International – Datin Jasmine Abdullah Heng, and The Star Entertainment Group Chairman – John O’Neill. “We are delighted to further enhance the tourism appeal of the Gold Coast and south-east Queensland more generally with this latest joint venture development,” said Mr O’Neill. The Star Entertainment Group Managing Director Queensland, Geoff Hogg, said the sod-turning for the tower continued an exciting year on the Gold Coast. “We had the success of the Gold Coast 2018 Commonwealth Games which had the best of our city on display to the world,” said Mr Hogg. “Today’s ground-breaking ceremony is truly a proud moment for us,” said Datin Jasmine Abdullah Heng, Vice Chairman Dorsett Hospitality International. Australia’s largest privately-owned construction company, Hutchinson Builders, was named last week as the preferred contractor for the tower development. The tower has been designed by acclaimed architects Cottee Parker, in conjunction with multi-award-winning DBI Design.